Cookie Cutter in the shape of a Heart. 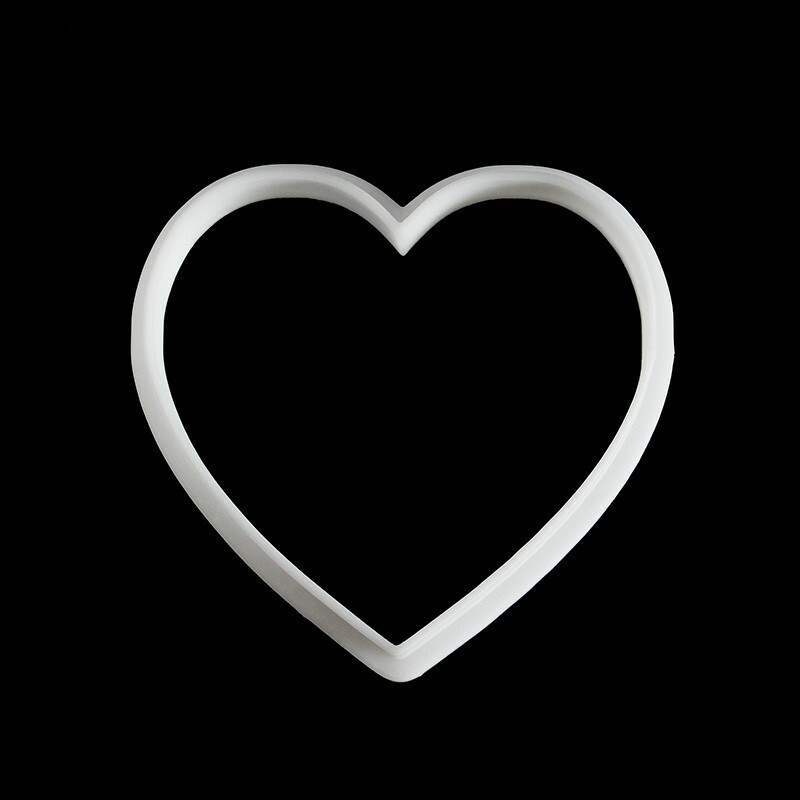 Our Heart shaped cookie cutter for those special occasions. Our cutters are made from strong white PLA plastic and are designed to last. Wash before and after use. Coat with icing sugar or flour to prevent dough from sticking. If at checkout you choose to collect your item we will advise you when it is ready. All items are made to order so please allow a minimum of 2 days before you can expect to hear from us. If your item is to be delivered we will contact you when it has been shipped. Want a cookie cutter in a certain shape or a different size? We can design one to your requirements. Contact us to discuss.